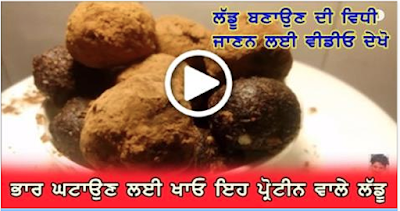 In this video clip you can watch a very good video clip Quick Weight loss with PROTEIN LADDU . i full hope you like this video clip . i also hope you full enjoy this video clip . so watch this video clip and enjoy it . thanks for watching this video clip . Yaadan Aundian Jado'n Ikathe Rehnde Hunde c..
Kaun Maggie Zyada Khau, Naale Chhoti Jehi Chocolate Pichhe v Larhde Hunde c..
TV de channel Badlan Lai Kiwein Marde Hunde c..
Mummy Nu Shikayataa'n Laun layi Ik Duje Diyan Galtiyan Labhde Hunde c..
Ice-cream Fridge Cho Kine Kha Layi, Khali Packet Nu Vekh k Sarhde Hunde c..
School Bag Ch Roti Kihdi Bachi Vekh k Mummy Nu Dassde Hunde c..
Bhena Viyah To'n Baad Chale Jandiyan, Bas Yaadan Reh Jandiyan.. Copyright punjabistatus.blogspot.in 2011-2012. Simple theme. Powered by Blogger.